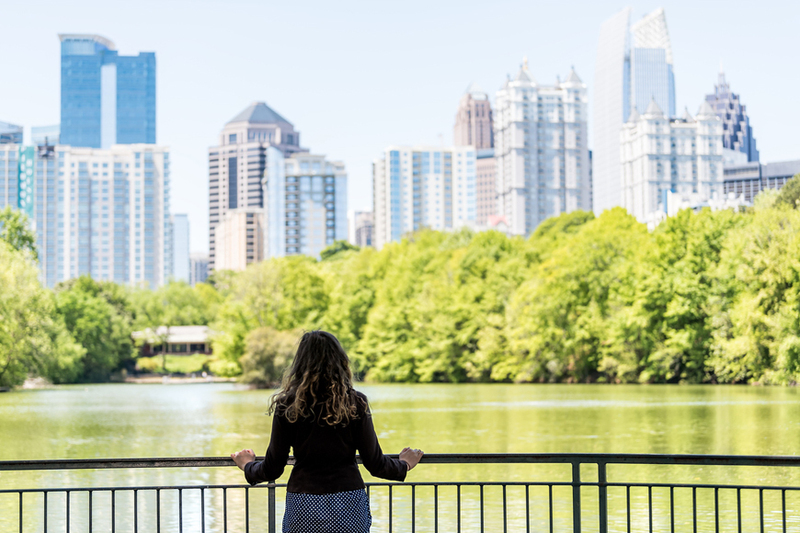 Checklist for Choosing a Great Neighborhood in Atlanta, GA - Natalie Gregory & Co.
What are you looking for in a neighborhood? Atlanta is a city full of diverse neighborhoods, and residents within each often proclaim their neighborhood the best. With so many options, first consider family goals, type of home, commute time, amenities, and neighborhood surroundings. Make a list of wants versus needs and assess what you don’t want. Share these lists with your agent who then can help narrow your search. Next, personally visit the neighborhoods at different times of the day. Talk to residents within the community and ask questions about the area. Bottom line: do your research to find the best neighborhood for you. Knowing how much you can afford will also help determine the right Atlanta neighborhood. Create a range for your budget and make sure that you don’t go over the maximum when looking for a home. It would make a huge difference if you secure a mortgage pre-approval. (This allows you to qualify for a loan program and borrow a specific amount of money.) Some of the more affordable neighborhoods that are quickly appreciating in price are Grant Park, Kirkwood, and Candler Park, while more expensive and long-established neighborhoods are Ansley Park, Druid Hills, and Virginia Highlands. How far is the neighborhood from your workplace? Commute time is an important factor when choosing a neighborhood. Determine how far you are willing to commute to your workplace and whether public transportation (i.e., MARTA) is a factor. You should also consider fuel expenses (if you own a car)and traffic, which often makes a huge impact on commute times in the Atlanta area. Is the neighborhood walkable, bikeable, or a short drive to valued amenities? Another factor to consider when choosing a neighborhood is its proximity to hospitals, places of worship, shopping, restaurants, and the coveted Beltline, a multi-use trail connecting Atlanta communities. Look for a neighborhood that offers these amenities and double check its walkability and bikeability by using www.walkscore.com. Remember that having amenities within close distance often adds value to your home. What is the neighborhood’s crime rate? A neighborhood that provides a safe and secure environment should also be top priority when it comes to looking for a home. You can research crime rates in a certain community by researching and using online tools such as NeighborhoodScout, AreaVibes, and CrimeReports. No one knows Atlanta’s neighborhoods better than Natalie Gregory. An expert in the local real estate market and a longtime Atlanta resident, Natalie Gregory is your point person to finding the perfect Atlanta neighborhood for you. Get in touch with her today at 404-550-5113 or email Natalie(dotted)Gregory(at)Compass(dotted)com.